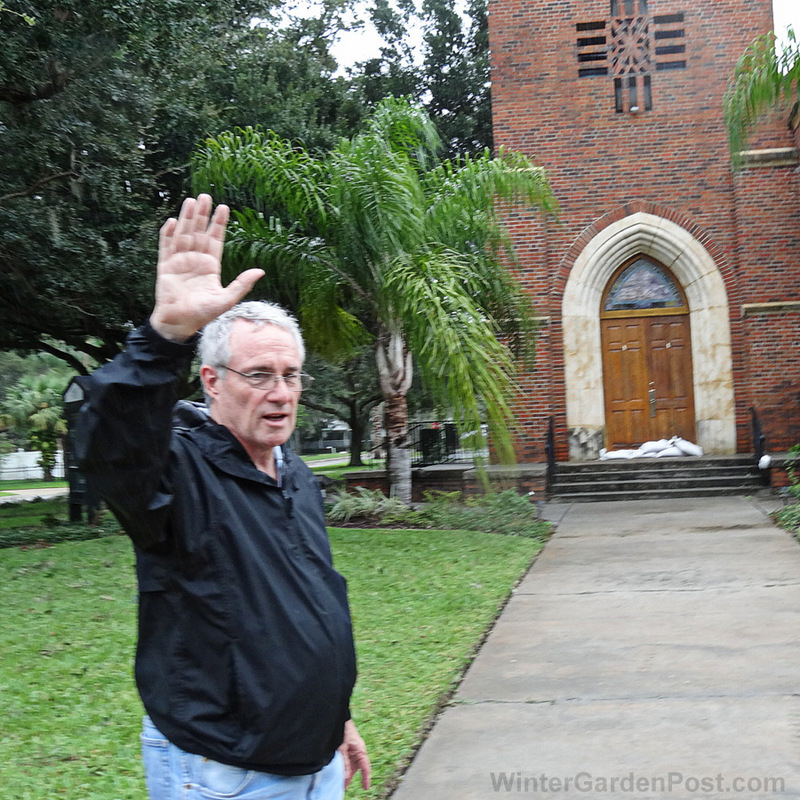 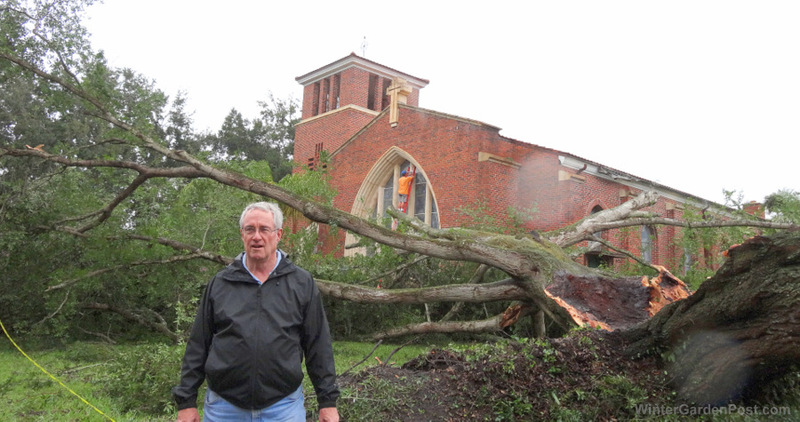 Pastor Rusty Belcher got the call from a neighbor on Lakeview Avenue that she had heard a loud crash near the church. 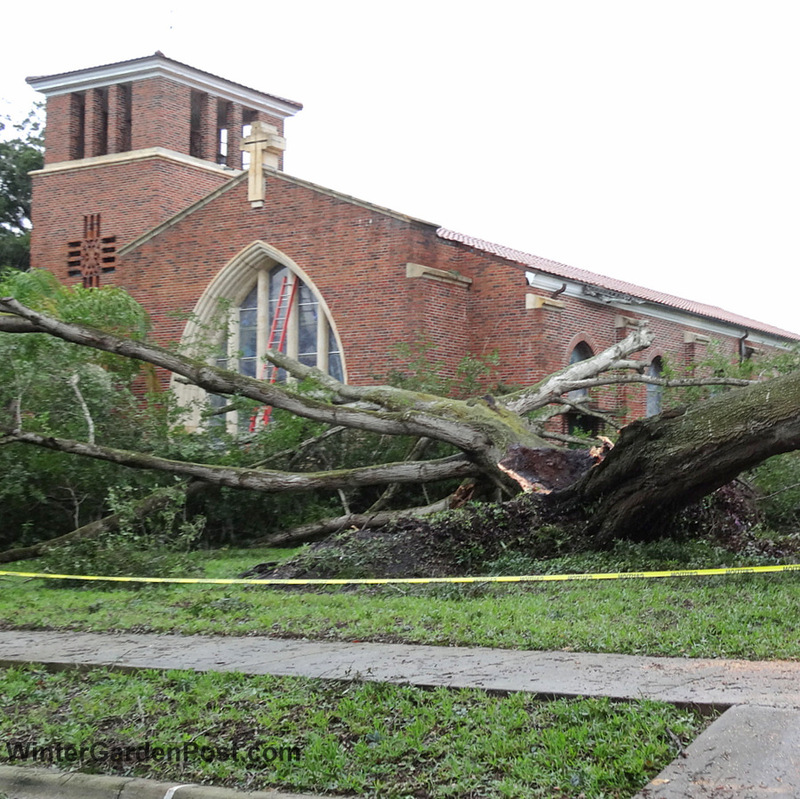 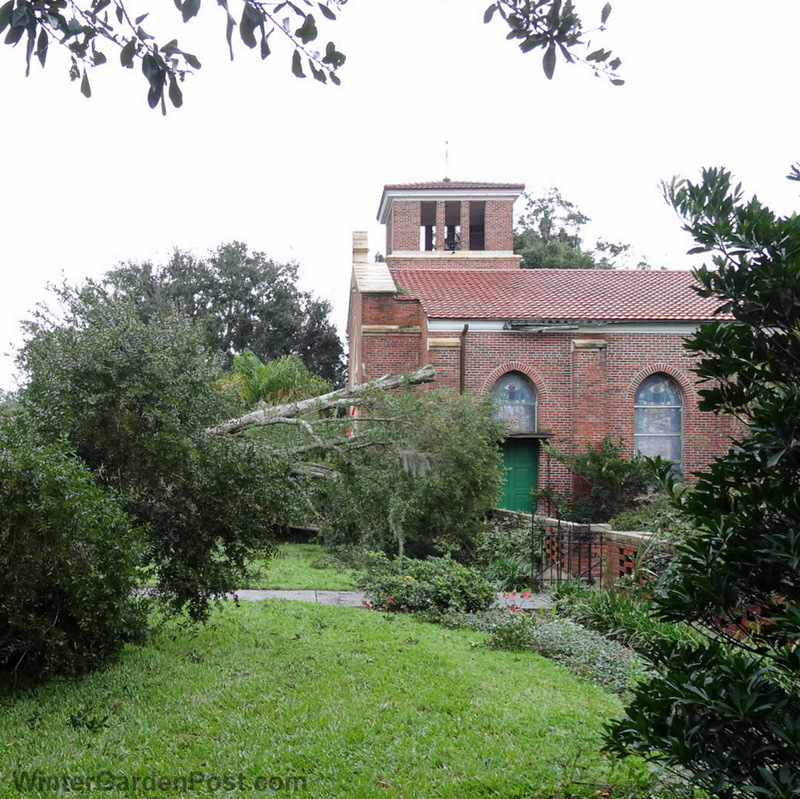 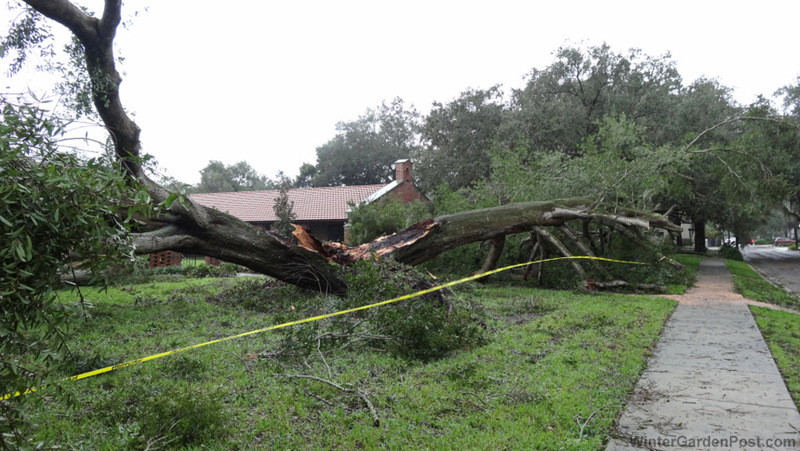 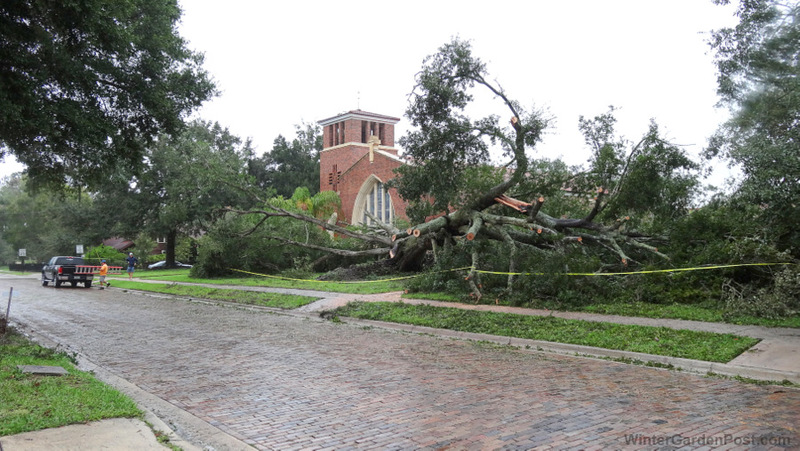 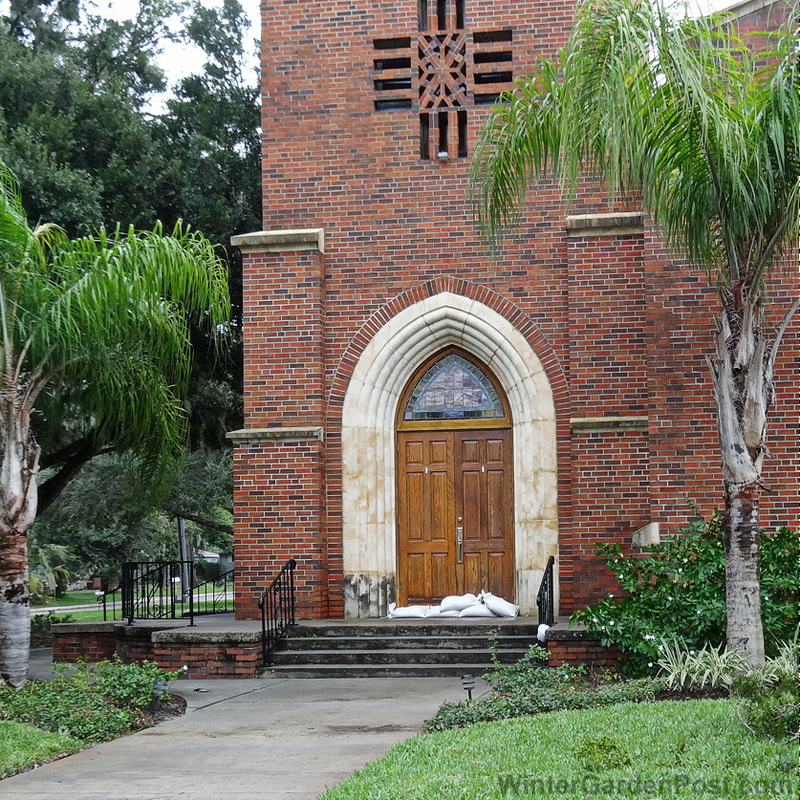 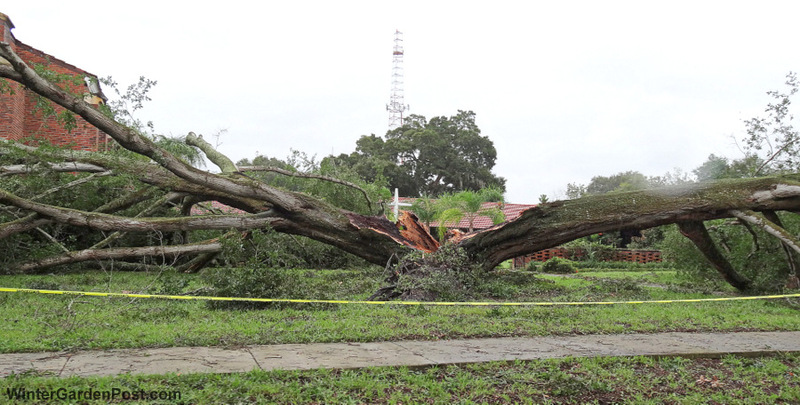 She ran outside to find that the large oak tree in front of the church had split in two and had crashed to the ground. 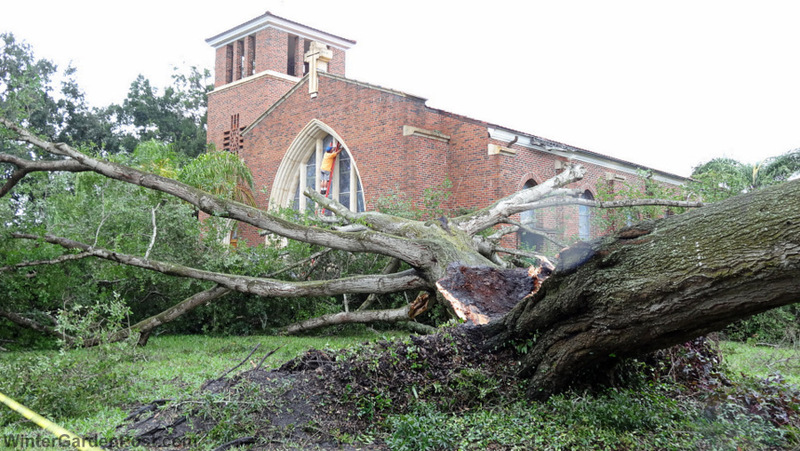 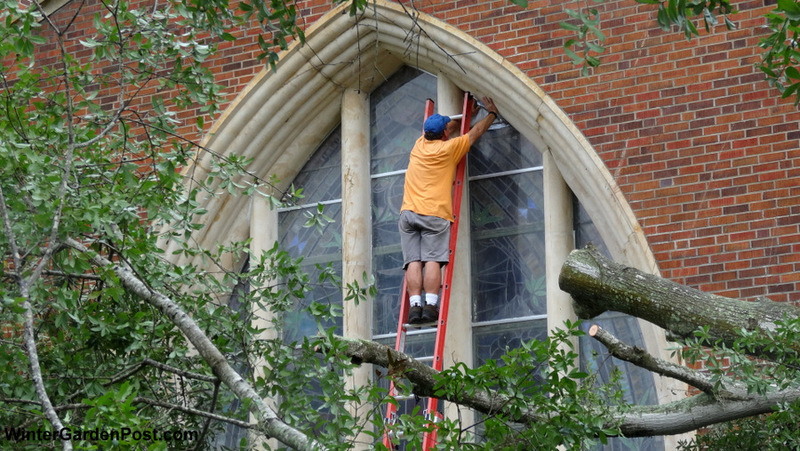 There were immediate offers of help from friends and church members to repair the damage, but Pastor Rusty knew it would be a larger job than most could handle so he called contractors to work on the roof, and the city offered to take care of removing the tree from the ground. 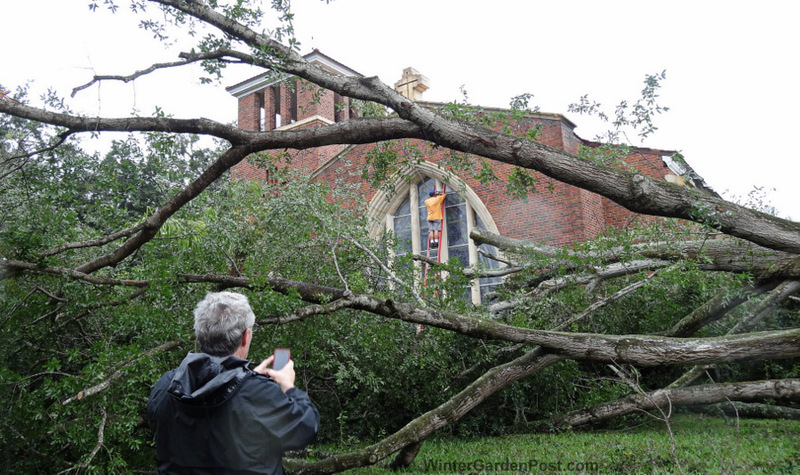 Several people stopped by to say hello to the pastor and to take photos of the massive tree laying in front of the church. 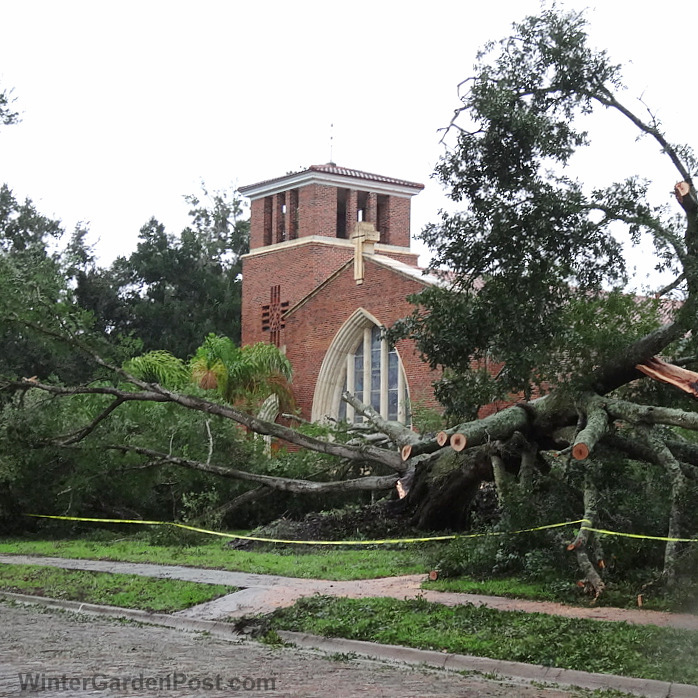 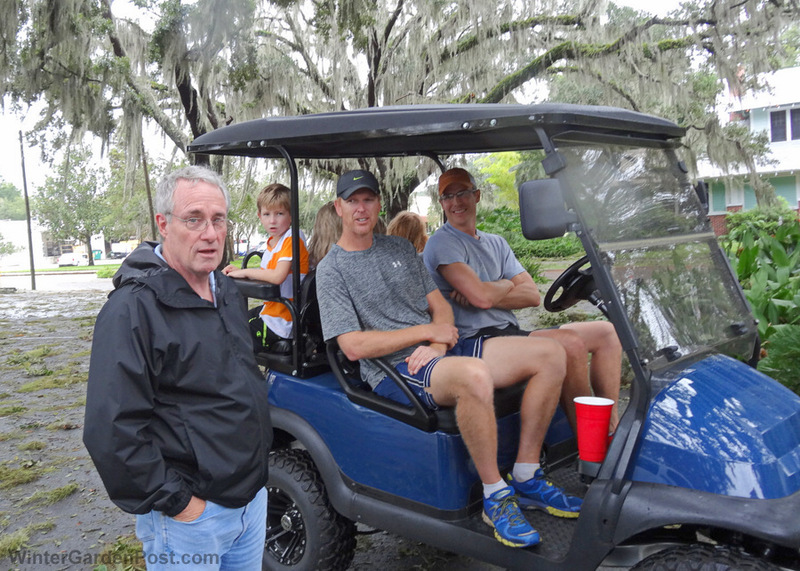 All were given an invite to this Sunday’s' church service which had already been called "Hurricane Sunday"! 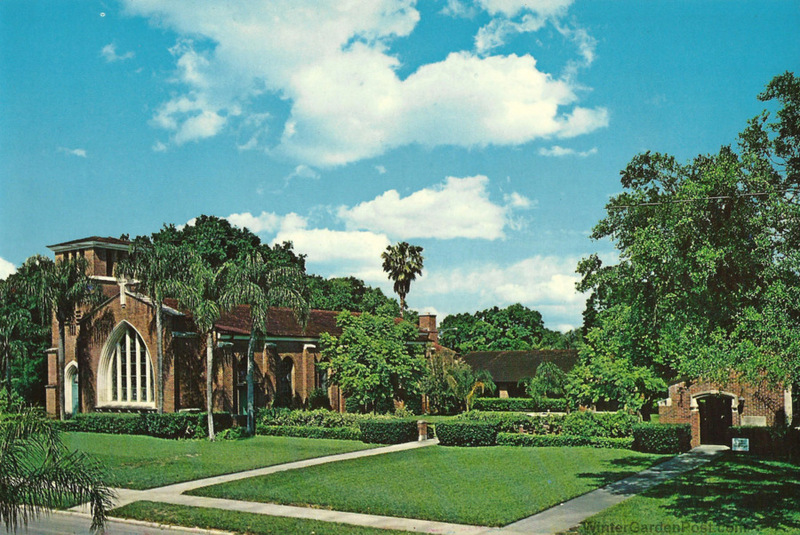 from the early 1960's just before the oak tree was planted.